Interview with Brigadier-General Israel Baharav: The letter to Netanyahu and more! Brigadier-General (Res.) Israel Baharav is one of 105 retired Israeli generals and top-tier security establishment officers who on November 3 2014 sent a letter to Prime Minister Benjamin Netanyahu urging him to engage both with the Arab world and with the Palestinians to push a new diplomatic initiative for resolving the Israeli-Palestinian conflict and improving Israel's standing regionally and internationally. In this interview with APN, he talks about his motivation for signing the letter and comments on why Israel's security elite is typically more supportive of diplomatic moves than its political leadership. To read the text of the letter and view the list of signatories, check out the Forward's J.J. Goldberg's translation. For more on the letter see two articles from Yedioth Ahronoth here. 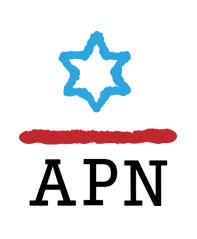 APN interviews David Pollock of Washington Institute for Near East Policy on Palestinian and Israeli incitement.